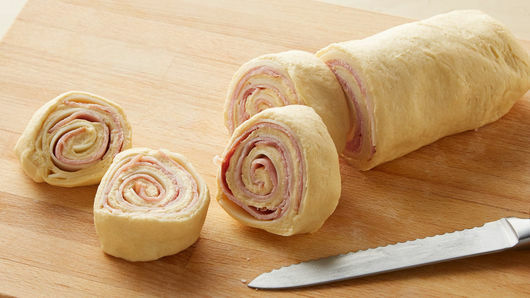 Unroll dough sheet onto large cutting board; press into 12x8-inch rectangle. 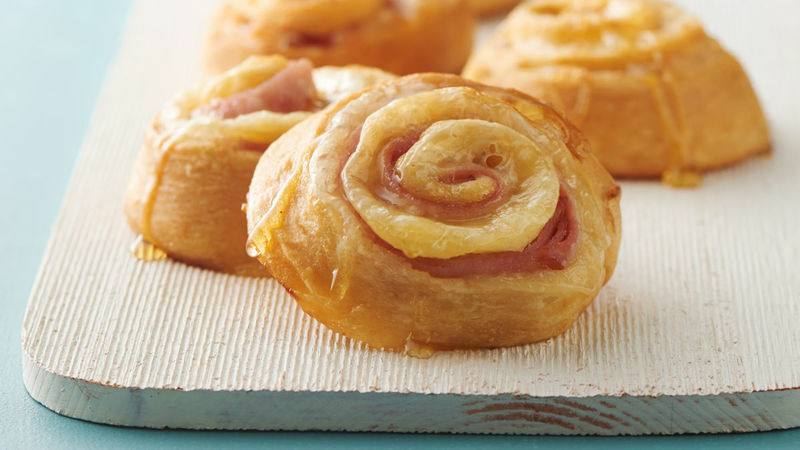 If using crescent rolls, unroll and press into 12x8-inch rectangle, pressing seams together. 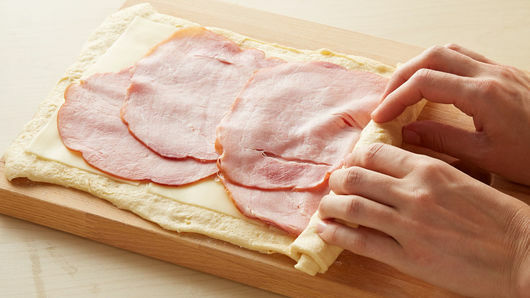 Top with cheese and ham slices, leaving 1/2-inch border on each of the short ends. Starting on short edge of rectangle, roll up tightly and pinch seam together. With serrated knife, cut into 8 slices, about 1 inch wide. Arrange on cookie sheet. 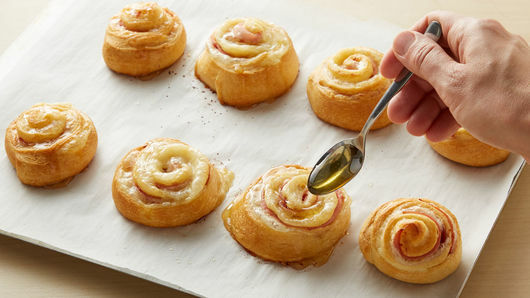 Brush tops and sides of roll-ups with melted butter. Bake 17 to 20 minutes or until golden brown. Drizzle with honey; serve warm. Try sliced Cheddar or pepper Jack in place of Swiss cheese for a different flavor. Serve with chips and fresh vegetables for a complete meal.